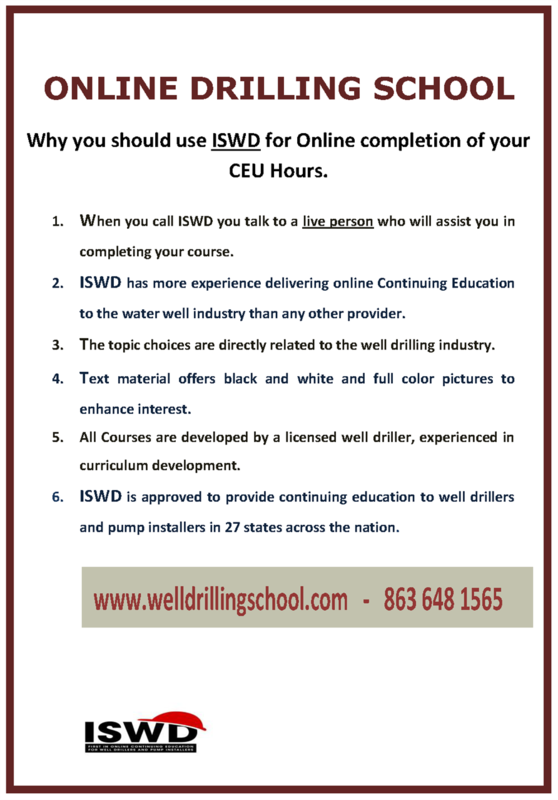 The Oklahoma Ground Water Association, in partnership with the Oklahoma Water Resources Board, is pleased to offer online continuing education credits through the International School of Well Drilling. These courses include OWRB Rules and Regulations. All courses have been approved by the OWRB for continuing education credit. Click here to access the list of approved online continuing education courses through the ISWD. Management provided by RedAnt, LLC.